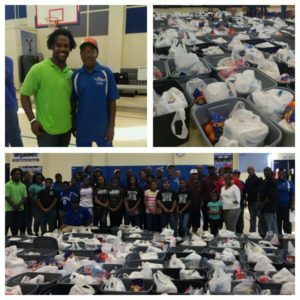 Communities In Schools Community Laison, Christopher Williams volunteered to help package Thanksgiving dinners for 125 families in the South End neighborhood of Beaumont, TX. The event was organized by the Charlton Pollard Elementary PTA and the Charlton Pollard Neighborhood Association. Also special thanks to CIS Site Coordinator, Mrs. Alpha Mack as well.